"But the hands that built the Tower of Babel knew nothing of the dream of the head that conceived it. The hymns of praise of one man became the curses of others." Fun fact: Metropolis is actually just Star Wars in disguise. A rebellious young man joins a group of underdogs and learns the ways of a strange religion while on a quest to overthrow his tyrannical father's evil empire by destroying its greatest creation. That's right: Fritz Lang was secretly a no-talent hack using a time machine to steal ideas from the future. So if that doesn't make it obvious enough, I'll just come right out and say it: I have a new favorite silent film. You know how watching silent films can sometimes feel like homework? Like they've been dead for 100 years and you need to spend all your energy as an audience to bring them back to life? Not the case here. Metropolis is nothing if not a masterpiece of vision. The first thing that strikes you about the film is the incredible visual effects. Lang and his effects expert Eugen Schüfftan had to pioneer their own techniques for the film which quite literally involved smoke and mirrors. They combine these new developments with intricately detailed miniatures, beautiful matte paintings, and unimaginably immense sets, all of which bring the majestic city and its shadowy underbelly to life more than any green screen could. The spectacle is simply massive. But it's much more than just a visual delicacy, it's a narrative one as well. The film works as a story even for a modern viewer because of the impressively nuanced performances. Part of the reason I struggle so often with silent films is that they cut back and forth between action and title cards so often to convey dialogue; and while that's still the case here, Metropolis delivers much more information and even character development through its performances. You know how Charlie Chaplin tells you what he's thinking without saying anything? You ever watch your favorite movie with the sound off? The same principle is at work here. You can see much more in the facial expressions and physical gestures of these characters than in any sound film, and as a result dialogue becomes almost unnecessary. It's not until we move beneath the surface of this multifaceted masterpiece that we find the true treasure, however. The location of Metropolis in our cinematic history gives it something distinct you can't find anywhere else: science fiction through German expressionism. The twisted lines and jagged edges of something like Dr. Caligari here find themselves transformed into elegant open spaces and stately monuments. But the sumptuous exteriors of the ruling class overworld hide a dark secret: the dismal buried city of the workers, choked with smoke and cluttered with machines. Humanity's creations overgrow and dominate their creators. The film's magnificent visual design is so evocative that there's never any need for exposition. And on top of that, this juxtaposition externalizes the central thematic struggle at the heart of the movie. Made during the Weimar Republic in Germany, the film functions as a clear allegory for class conflict, pitting the aristocracy above against the proletariat below and trying to find a solution to the antagonism. "The mediator between head and hands must be the heart," Metropolis tells us. The film is famously one of Hitler's favorites, and it's not difficult to see why. It renders precisely the national unity which was the ultimate goal of the Nazi Party, and Hitler doubtlessly imagined himself as just such a mediator. But regardless of how the message might be twisted, its conflict is a real one which carries just as much weight and relevance today. 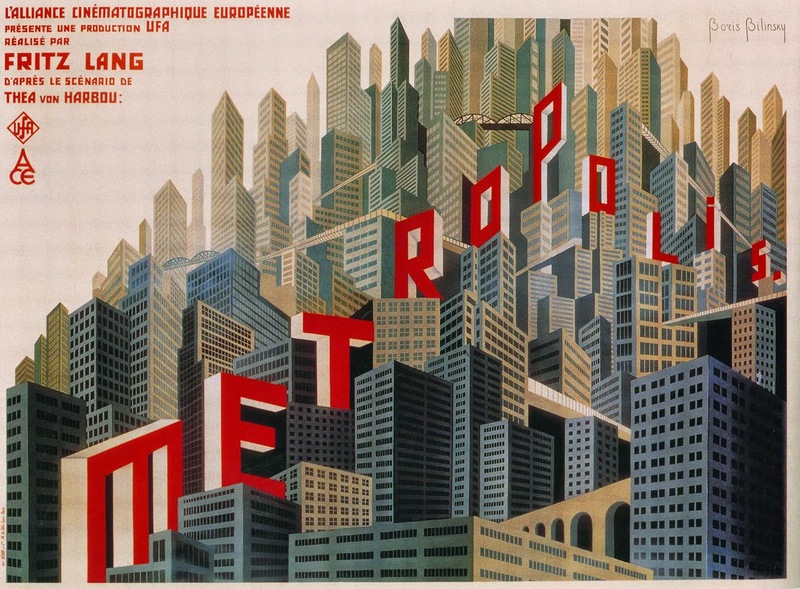 The tragedy of Metropolis, of course, is that much of it has been lost or badly damaged. In 2008 a new print of Lang's original cut of the film was found in a museum in Argentina, but it is still incomplete and even after restoration looks like it's been through hell. But even if we never have a complete version of the film, its presence can be felt from the bright lights of Star Wars and the ceremonious fanfare of 2001 to the dark corners of Blade Runner, and through this influence it lives forever. Is The Hunger Games Good or Bad?